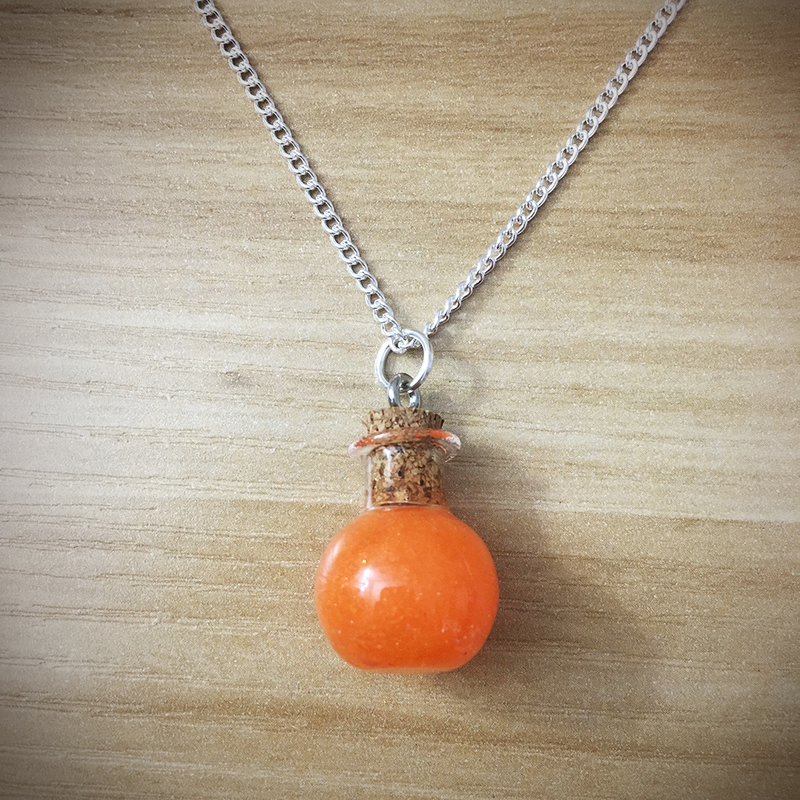 Potion Necklace – Sphere | Necklaces – Geek Girl Stuff – Geekery, art, jewelry, and more! Wearable potions! Perfect accessory for any geeky occasion. These are glass bottles filled with a special orange mixture and includes a cork stopper. Necklace chains are silver plated iron, measure 20" in length, and include a lobster clasp enclosure.